Consumers have many Skylink TV Antenna questions that regularly show up on Questions and Answers page and in reviews. Many of the consumer questions fall into similar categories about how the antenna works, how many channels the antenna can pick-up, how to contact Skylink TV Antenna customer service, the abilities of the antenna, and the best way to process a return and refund of the antenna should the purchase not work out. We have selected the most frequently asked questions about SkylinkTV Antenna and answered them here using information found on the skylinktvantenna.com, including the company’s terms of service, or fine print. Where does the Skylink TV Antenna work? How do I return the antenna? How does the antenna connect to my TV? How many antennas do I need in my home? What stations does the Skylink TV Antenna receive? Can I record shows using the SkylinkTV Antenna? 1. Where does the Skylink TV Antenna work? As a digital antenna, the Skylink TV Antenna allows you to access the free, over-the-air channels produced by local television companies. Therefore, it will work best where new stations and other local channels are broadcast. Skylink TV Antenna provides a link on the front page of the website to check for signal and to determine if your area is one where the antenna works. That link is https://www.antennaweb.org/Address. 2. Can I get a refund on the Skylinktvantenna.com? 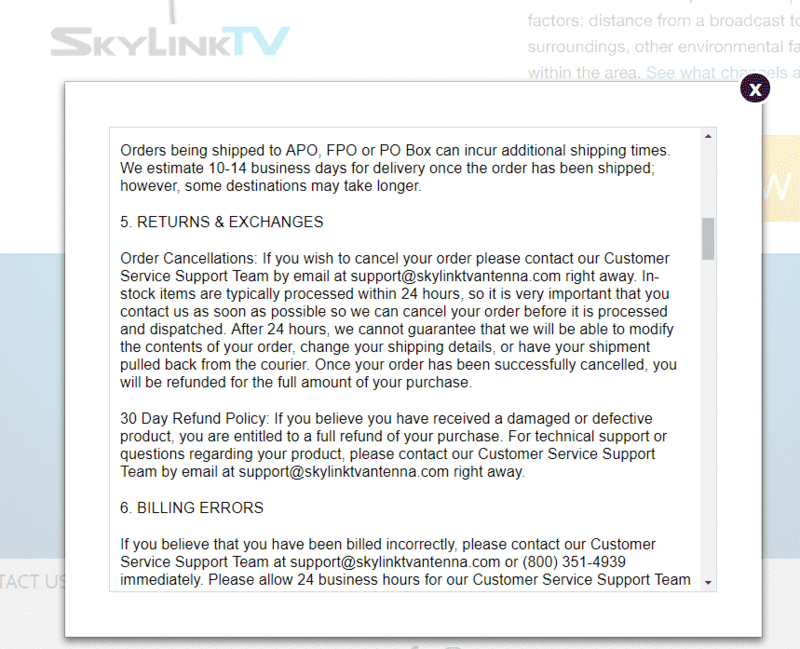 The most popular of the Skylink TV Antenna consumers’ questions is how to get a refund after ordering the antenna. According to the information found on the website, customers interested in a refund for a damaged or a defective product should contact Skylink TV Antenna customer support by email or by phone to get additional information. 3. How do I return the Skylink TV Antenna? The policy also gives information about how to proceed with a refund when a product is damaged or defective. “You may also contact our Customer Service Support Team by calling (800) 351-4939”. The additional contact information is also available through the Contact Us pop-up menu on the website. You may write a review about Skylink TV Antenna to potentially begin a dialogue with the customer help team. 4. How does the SkylinkTV Antenna connect to my TV? How to set up the antenna is among the consumers’ top questions about the product. 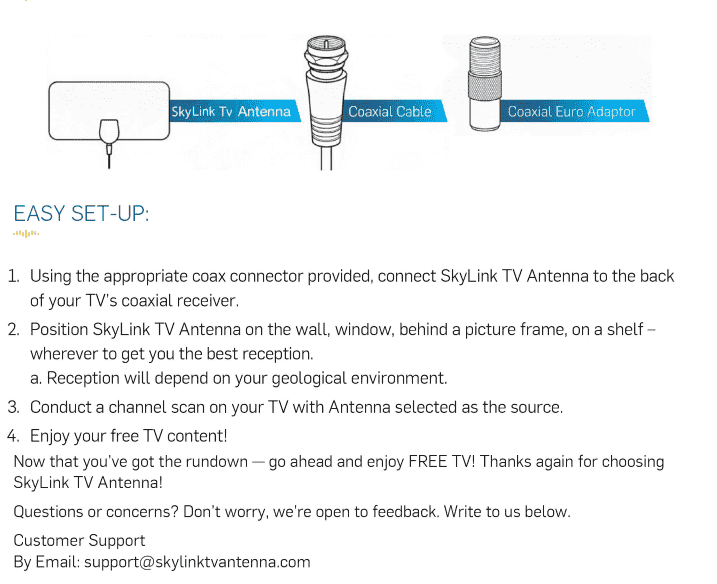 The satellite company provides a one-page Skylink TV Antenna manual to help customers connect the antenna. According to the schematic, the antenna comes assembled with a single coaxial cord. That cord is attached to the cable input receiver on the television. Once the wire is attached, the antenna should begin pulling in local channels. To see programming on the television, customers should have the television scan for channels. 5. How many SkylinkTV Antennas do I need in my home? Each Skylink TV Antenna comes attached to a single coaxial cable with connector. That single cable is only able to connect to one television. Therefore, if you would like to pull television channels for more than one television, you will need a separate antenna for each. One antenna works on one television. Two televisions would require two antennas. 6. What stations does Skylink TV Antenna receive? 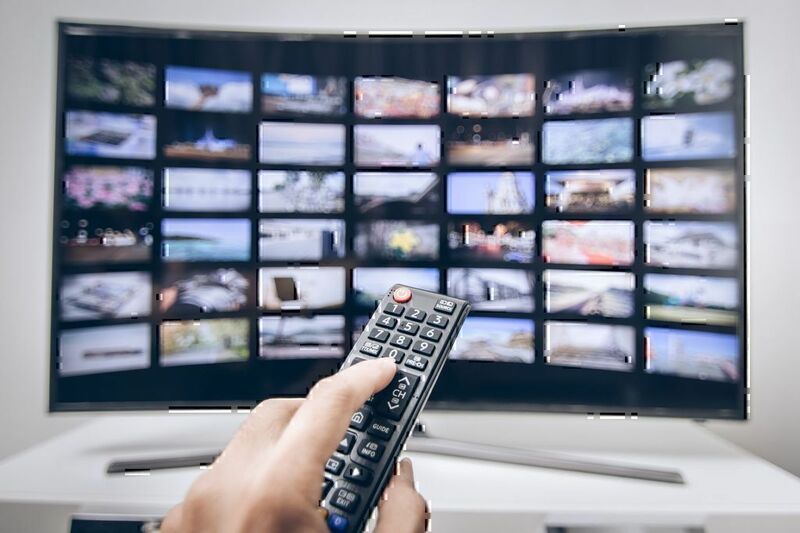 According to the Antenna Web organizational website, however, the actual number of channels received depends heavily on how many stations are broadcasting free channels in your area. You can get more information about what stations broadcast free channels in your area by using the address feature on the Antenna Web information site. 7. Can I record shows using the SkylinkTV Antenna? While this is among the most common consumers’ questions, there is no information in the Skylink TV Antenna materials about a receiver or recording abilities. In the installation guide, the components of the antenna are listed as the antenna itself and a single cable. 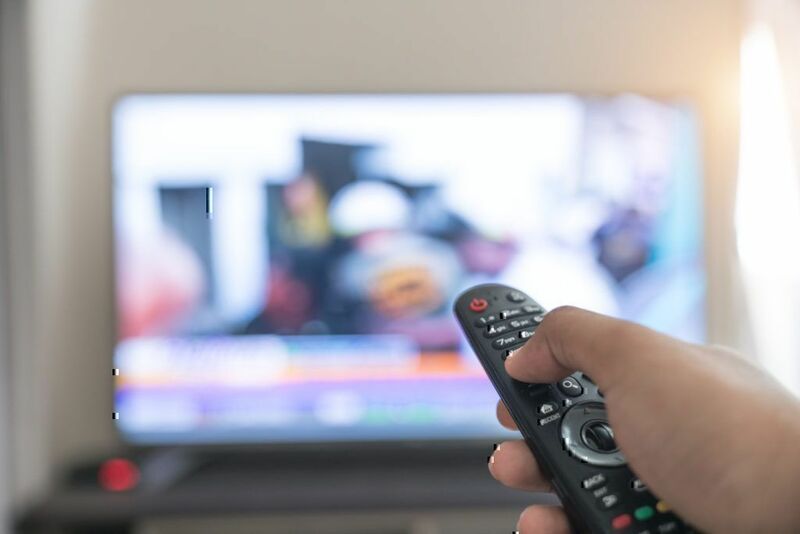 This set-up would not have the ability to record any television shows, but only to give users access to live television channels broadcast in their area. Contact Skylink TV Antenna customer support team directly through their contact information listed in the Contact Us section of the skylinktvantenna.com. 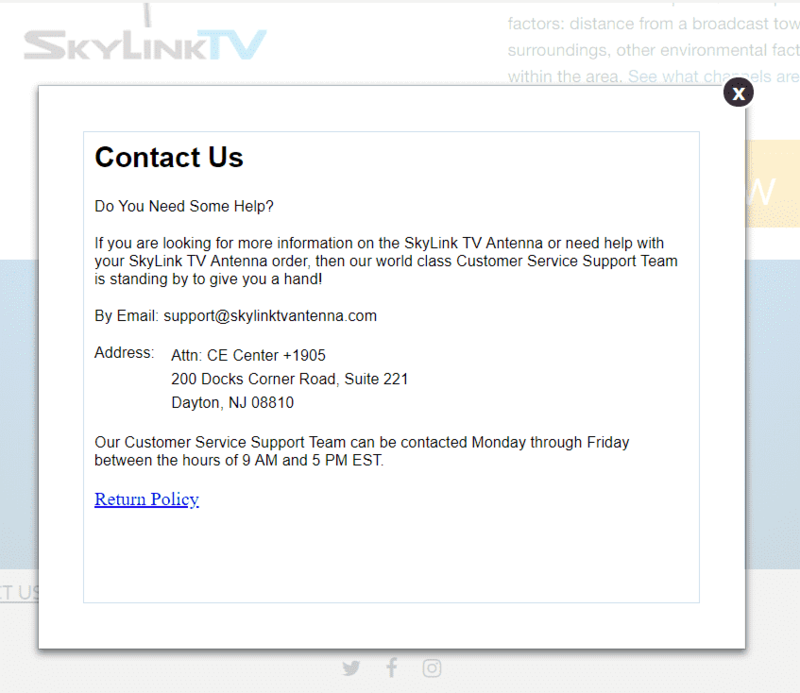 Use the Skylink TV Antenna customer service phone number available on the PissedConsumer.com in the company tab. Rebecca Garland, M.S. is a business and education writer. 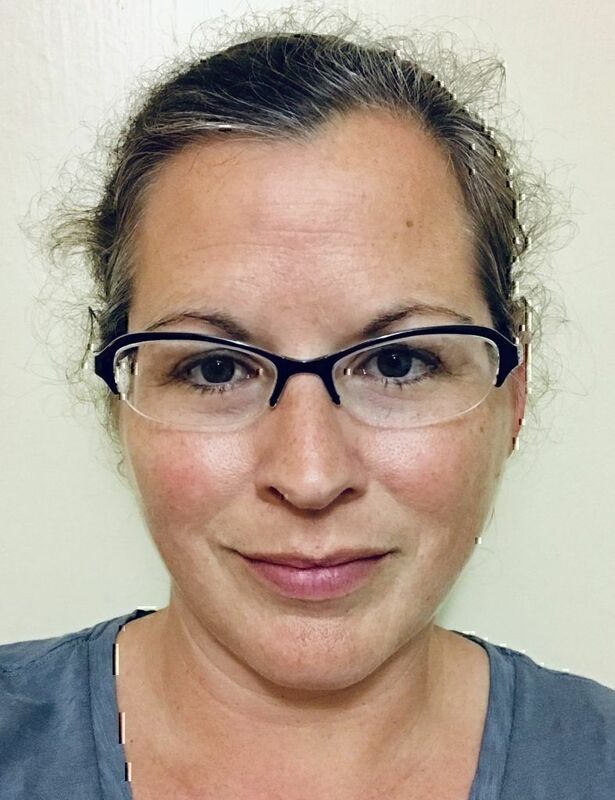 She holds secondary teaching certifications in six areas, has a degree in Business, and earned a Master’s degree in Library and Information Science. As an expert, Rebecca has been working with international clients since 2005.